If you need help and advice with regard to independent property surveys, building surveys, structural reports, engineers reports, specific defects report, structural surveys, independent valuations home buyers reports or any other property matters please free phone 0800 298 5424. If you have the time available and can get to the property whilst the survey is being carried out ours surveyors will be more than happy to talk to you about any concerns and possible problems that you think the property may have together with any potential alterations and improvements that you may be looking to carry out to the property. We will, of course, be happy to speak to you about the survey report once it has been completed. Please free phone 0800 298 5424 for a friendly chat with one of our surveyors. 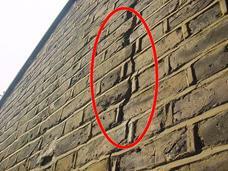 Cracks are one of the key things that we are asked to look out for when carrying out a building survey or structural survey, ranging from hairline cracks through bricks to structural cracks caused by movement. 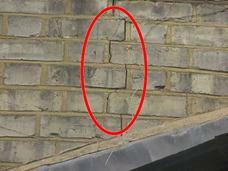 It is not about the size of the crack in a property, it is about the cause. We once heard it said that you should only be concerned about a crack if you can get your hand through it. Obviously as a Building Surveyor we can't agree with this. Please read on to find out more. As you can see from this article we use lots of sketches and photos in our reports as the feedback we have from our clients is that the sketches and photos help them understand the reports. 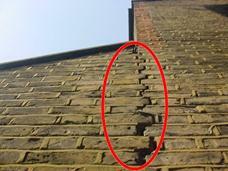 Cracks can identify movement in a property. 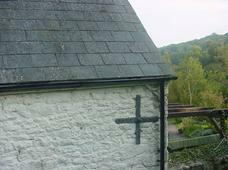 During a survey we would endeavour to establish why the movement has occurred which may be due to many reasons such as an extension being added giving additional weight to the building, the addition of new window openings, which could reduce stability, trees nearby or water discharging into the area. The only true way to confirm whether the movement is progressive is to carry out a monitoring exercise, which would normally take a year and should be carried out by your insurance company. As soon as you identify signs of movement we would recommend that you advise the insurance company who will carry out monitoring of the cracking. This will mean it will limit any future liability to the insurance excess. 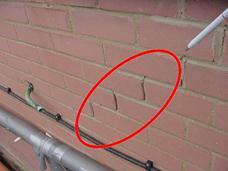 If you are buying a property with cracks we would recommend that the existing owner places an insurance claim and you then can continue on with their insurance policy. 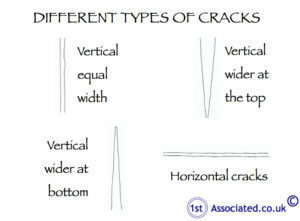 Old historic cracking – but how do you tell the difference? 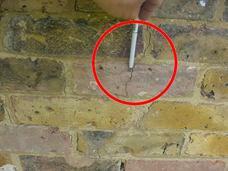 Cracking on the mortar joint – is this OK? 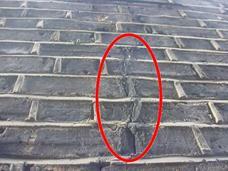 Stepped cracking – what does this mean? The red circles are a system that we used within our structural surveys, building surveys and schedules of condition to highlight problem areas so that you are not left wondering what the problem is. In addition to this if the photographs do not, we believe, explain the problem enough together with our survey report we also add in one of our own sketches. 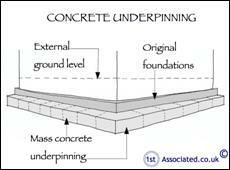 The cause of the movement and the cracking can be settlement heave or subsidence which would result in having to underpin the property. 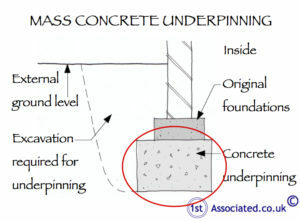 Most people would be put off purchasing a property where underpinning has taken place however we would comment that underpinning is a popular way of resolving problems in clay areas particularly where there are trees and/or underground water in the area. You need to ensure that you are happy to buy a property with this characteristic and that when you come to sell it may affect the value. We personally do not recommend large amounts of underpinning on older properties, which was common in years gone by as the extra weight can cause equal stress and strain on the property and ironically cause further problems. In addition to this we would say that when a property has been underpinned it simply doesn't have the same value as a property that hasn't been underpinned. 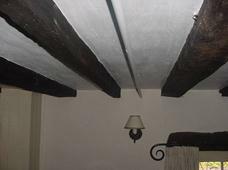 Tie bars are normally added where the lateral restraint from the floor joists has given way and bulging or movement in the property has occurred. 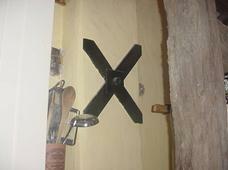 Tie bars are used to pull the property back together. In the photograph above you can see support is taken from the central spine beam. This is the thicker central timber. If you are buying a property that has had structural alterations such as tie bars we would recommend that you do not proceed unless the Structural Engineer will put in writing that the structural alterations have been carried out to his approval. Factors such as internal decoration and external vegetation can cover structural alterations that have been made to the inexperienced but should be picked up by a Surveyor. If you truly do want an independent expert opinion from a building surveyor, we are happy to carry out valuations, building surveys, structural surveys, structural reports, engineer's reports, specific defects reports, home buyers reports or any other property matters. Please ring free phone 0 800 298 5424 for a friendly chat with one of our surveyors. 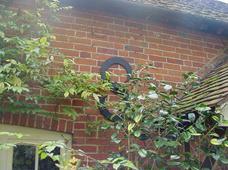 We feel our surveys are quite unique, as they are written by our surveyors to your level of knowledge. The surveys include photos and sketches and definitions. The survey will also include an action required section and an estimate of costs in the executive summary. Our surveyors are more than happy to meet you at the property whilst carrying out the survey to discuss any specific issues you may have or have a general chat about what we have found at the end of the survey. If you require a Building Survey or a Structural Survey on a home, house or commercial property we believe as Building Surveyors we have a wealth of experience and expertise that we can utilise to help you. 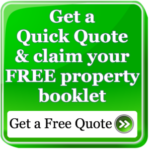 We are more than happy to send you examples of our Surveys that we have carried out on similar properties to yours and pretty much have always carried out a survey on similar property to the one that you are looking at although we do appreciate that all properties are unique. We really believe that you should see what you are getting in the form of an example Survey before you purchase a property. What is more is that we are so confident with our higher than average standards that we believe that there is no other comparable survey available in the UK property and surveying market. We do come across from time to time commercial properties that have been built with a timber frame, particularly on older shops. If you are looking for commercial property, whether it is freehold or leasehold, we would recommend a survey as this will prevent dilapidations claims in the long run. You may wish to look at our Dilapidations Website at www.DilapsHelp.com and for Disputes go to our Disputes Help site www.DisputesHelp.com , both of which we have been advised are very helpful! We hope you found the article of use and if you have any experiences that you feel should be added to this article that would benefit others, or you feel that some of the information that we have put is wrong then we would be pleased to hear from you.